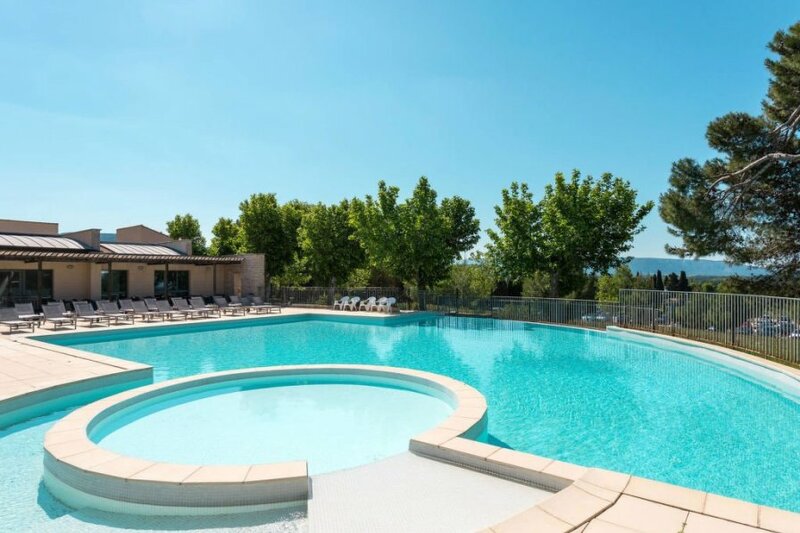 This 2 bedroom apartment with swimming pool is located in Saumane-de-Vaucluse and sleeps 6 people. It has WiFi. Apartment, 4 - 6 people, 3 room/s, 2 bedroom/s, 1 bathroom/s, approximately 46 m², 1 floor/s. Feature: Property in a holiday complex (max 2 floor(s), 131 units in total). Situation: in the hamlet Saumane. Estate (shared use): trees, natural surroundings, with garden, lawn, meadow. Pool (shared use): 20.0 x 10.0 m, 15/05/19-12/10/19, depending on the weather, curved shape. Pool area: deck chairs (included / depending on availability), sunshades (included / depending on availability). Sports facilities/ leisure time: shared use (free of charge): tennis, fitness gym. Infrastructure: reception service several hours only, bakery service; washing machine (coin-operated); dryer (coin-operated); internet access Wi-Fi (included) in the reception area. The apartment is described as good value for money. This apartment is located in Saumane-de-Vaucluse. The nearest airport is only 22km away. It is set in a very convenient location, just 0 metres away from a beach and only 3km away from the city center.